The Manchurian "Incident" of 1931 led to a Japanese occupation, the birth of Manchoukuo and the withdrawal of Japan from the League of Nations. At the time it seemed as if the army and navy were exerting a supreme influence. This volume points out that this influence is not new and that there are strong reasons for its existence and continuance. 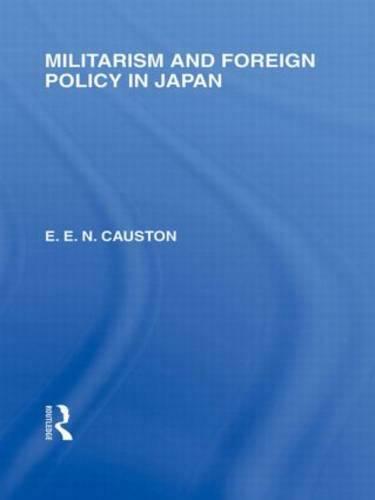 It shows how it is fostered by the peculiar political structure of the country, and how, though often unintelligible to Europeans, it may be understood and accounted for in the light of the historical and political background of Japan.